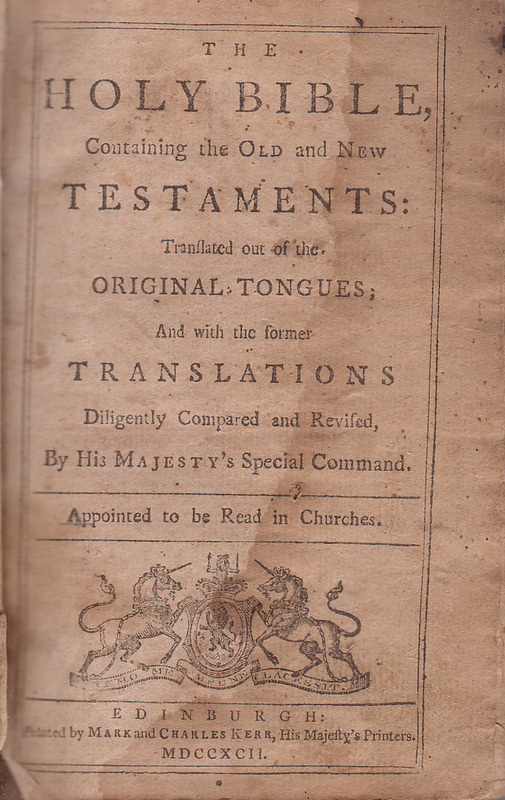 The Holy Bible Containing the Old and New Teftaments, Edinburgh, Mark and Charles Kerr, MDCCXCII (1792). 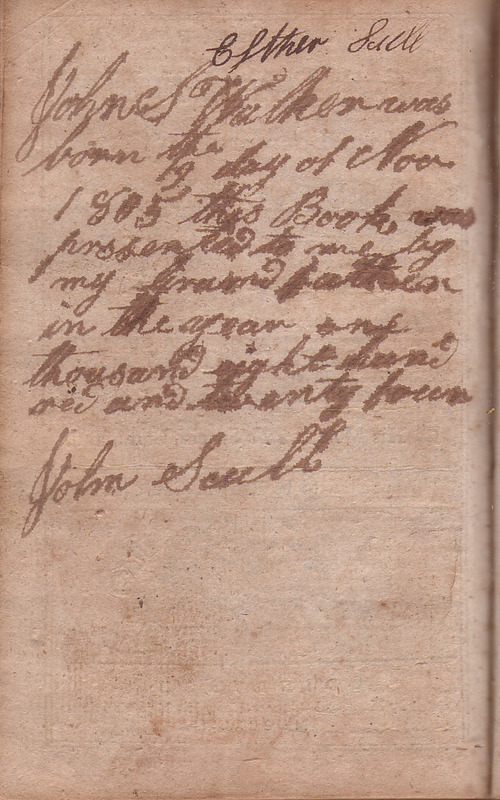 This is a small Bible in good condition. 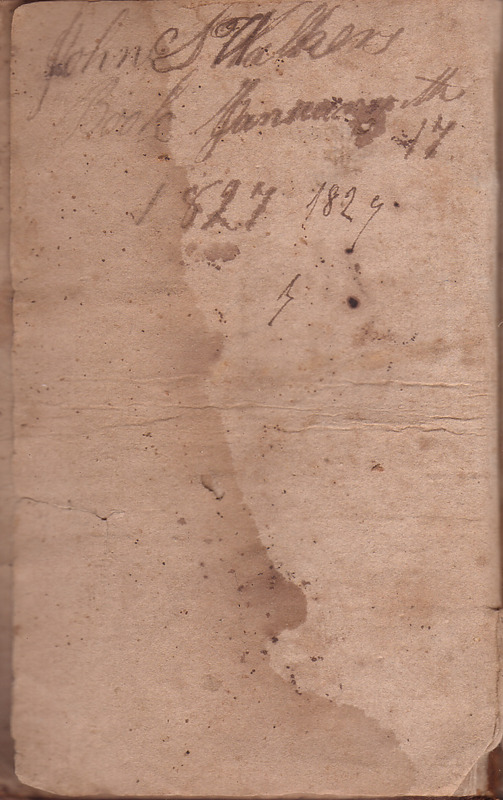 The original binding is intact with an old repair to the top back cover. 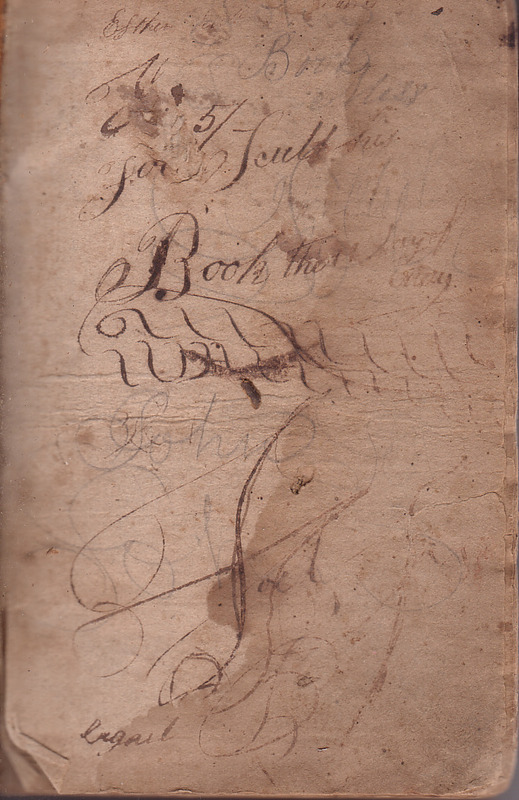 All pages are present with the exception of the rear flyleaves, as far as I can tell. There are just a couple of ownership inscriptions. I do not know where this family lived.